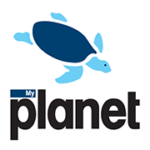 My Planet is an eco-friendly series of cleaning products. Every year as part of their CSR activations they cooperated with a yachting school for children and together they cleaned greek sea shores from garbage. But no one ever noticed… so they needed an activation to make people aware of this amazing environmental action! First, we created a proper “movie” trailer, presenting the little sailors as heroes that are back to save our beaches once more. We than documented the cleaning process and asked children to pause a serious question on camera: Who throws all these trash and cigarette butts on the beach? We posted the video on facebook and we invited people through a facebook app to take an oath and share a post stating: I did not throw the cigarette butts. They also entered a lottery to win the full range of My Planet products! 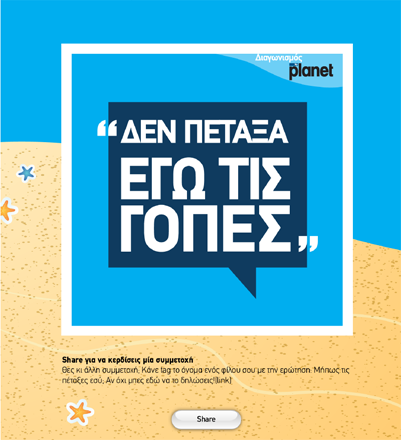 This way more people became aware of My Planet’s action!